N’est-il pas temps de vous responsabiliser pour votre propre santé ? Vous n’avez pas à le faire tout seul. Nous sommes dans une croisade pour une meilleure santé pour tous et nous vous invitons à nous rejoindre ! Pendant une courte période de 90 jours, venez faire une expérience de transformation de votre corps, de votre esprit et de votre vie comme jamais auparavant. Le défi Zeal pour la vie contient tout ce que vous avez besoin pour réaliser vos propres objectifs et démarrer dès maintenant ! Un frais d’inscription de 35,00 $ est requis pour démarrer votre commerce Zurvita. Vous recevrez une Trousse de Bienvenue qui contient du matériel de marketing pour démarrer votre commerce. Shipping will be through Canada Post with the ability to track your shipment. Includes Zeal Advanced Formula Chocolate Protein Shakes (4 bags, 15 servings each), Zeal Wellness Canister (30-day supply), Zeal Cleanse (30-day supply), Zeal Burn (30-day supply) and Zeal Blender Bottle. Greetings Lisi and thank you for this wonderful encouraging note. Yes, Zeal for Life Wellness Formula (30 day canister powder) has been a tremendous help to those with chronic pain and other chronic conditions. We will send you the Doctor’s report on this product and suggest you take it to your health practitioner for further evaluation. This is the product we are very excited about, for it restores cells. To your health and we look forward to hearing YOUR success story! id’ love to order from you ,but i couldn’t find out how ,please let me know how too ! Here is the link for you to purchase products. Once link opens select “Buy Zeal” at top of page. 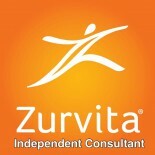 This entry was posted on October 31, 2012 by Zurvita.com/HealthRoads in Business Opportunity, Canada, Diet, Healthcare, Weight Loss, Zeal For Life Consultant and tagged acai, advantra-z, Alberta, antioxidants, British Columbia, business opportunity, canadian consultants, Fructooligosaccharide, functional marketing website, guarana free, ingredients, Le défi Zeal pour la vie, Manitoba, milk thistle, Moringa oleifera, natural healing, natural nutritional drink, New Brunswick, Newfoundland and Labrador, Nova Scotia, Nunavut, Ontario, Prince Edward Island, Prosperity, purchase zeal for life wellness products in Canada, Quebec, Saskatchewan, stabilized rice bran, vitamins, weight loss, wellness pak, what is zeal, zeal burn, zeal challenge, zeal cleanse, zeal for life, Zeal For Life Canada, Zeal for life in Canada, zeal health drink, zeal supplement, Zeal vitamin, zeal weight management, zeal wellness formula.